You would be hard pressed to find a more romantic spot to celebrate your anniversary than on the serene Greek island of Naxos. 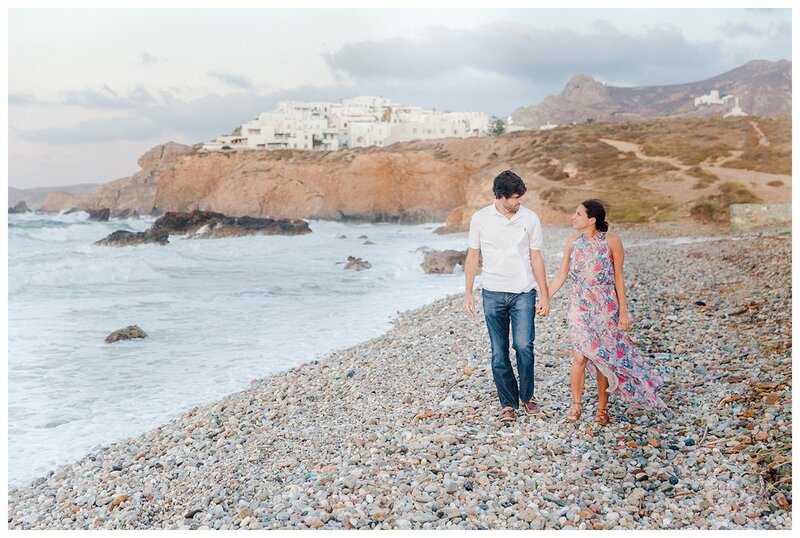 Rebeca and Adam's session was such a dream to photograph and was the perfect addition to my time in Greece. They are one of those couples you feel like you've know forever and have a charisma surrounding them that pulls you in. Despite the gale force wind we battled (it was literally knocking us off balance while we walked!) we were still able to capture some gorgeous moments. Thank you Rebeca + Adam for allowing me to document your love-- I hope you cherish these for years to come!